Everything you need to know about Kalia clearance section. The products in the Clearance section are final sales. No return is possible except if the product has a manufacturing defect. We honor Kalia's usual warranty for any purchase made in the Clearance section. The warranty may vary depending on the product category. Kalia will at its discretion repair or replace any defective parts or products found for normal house use for which they were designed. Kalia is not responsible in any costs related to labour or any other costs related with the installation of a product, its repair or replacement, or for any damage or incident, expense, direct or indirect loss. Refer to the Service Section to find out how to reach our customer service. Shipping is free. It will be possible to track your order with a tracking number issued when the order will be processed here. Delivery in Canada only. A period of 2 to 6 business days is required for delivery by FedEx or UPS carriers. Delivery in Quebec and Ontario only. Shower doors and bases are delivered by LTL transport and not by courier. Delivery times may vary from 2 to 6 working days. An additional $ 45 fee is required if you wish to make an appointment for delivery. How to clean and maintain my Kalia kitchen faucet? To avoid damage and optimize your product, you must follow the below recommendations when maintaining your Kalia product. Damages resulting from inappropriate handling are not covered by the Kalia warranty. Rinse with clean water and dry with a soft cotton cloth or sponge. Do not use anything abrasive such as a scouring brush or sponge to clean the surfaces. For tough stains, use a gentle liquid detergent such as dish soap and hot water. Do not use an abrasive and acidic cleaner. Carefully read the label on the cleaning product to make sure it is safe and appropriate. Always try the cleaning solution on a less visible surface before applying it to the rest. Completely rinse with water immediately after applying the cleaner. Regular cleaning prevents the accumulation of dirt and tough stains. What is Kalia’s limited lifetime warranty? Kalia Inc. offers the following express limited warranty on its products. This warranty extend only to the original owner/end-user for personal household use and are effective as of the date of purchase. The warranty is not transferable to subsequent owners. Additional limitations may apply for commercial use. Kalia Inc. guarantees all aspects of its faucets to be free of defects in material and workmanship for normal residential use for as long as the original consumer-purchaser owns his or her home. If a defect is found during normal residential use, Kalia Inc. may, at its sole discretion, elect to repair or provide a replacement part or product. Damage to a product caused by accident, misuse, or abuse is not covered under this warranty. Improper care and cleaning shall have the effect of rendering this warranty void. Kalia Inc. is not responsible for labor, installation or other incidental or consequential expenses. Under no circumstances shall the liability of Kalia Inc. exceed the purchase price paid for a faucet by the owner/end- user, contractor or builder. In addition to the previously mentioned conditions and limitations, the warranty period for products installed for commercial applications, or used in commercial ventures, shall cover a period of one (1) year from the initial date of purchase by the owner/ end-user, contractor or builder from an authorized dealer. If the product is sold by Kalia Inc. as a display item, a one (1) year warranty applies. If you wish to make a claim under this warranty, you may contact Kalia through your Dealer or directly at 1-877-GO-KALIA (1-877-465-2542) or again by writing to: service@KaliaStyle.com or to : Kalia Inc., Attn: Customer Service Dept., 1355 2nd Street, Sainte-Marie QC G6E 1G9 Canada. Be sure to provide all pertinent information related to your claim, including a complete description of the problem you are experiencing, the product name, product model number, color, finish, and finally the date and the location where the product was purchased. Also include the product’s serial number or original receipt. For more information or to obtain the name and address of the service and repair centre nearest you, call 1-877-GO-KALIA. EXCEPT AS SET FORTH HEREIN, KALIA INC. PROVIDES NO OTHER WARRANTIES, EITHER EXPRESS OR IMPLIED, INCLUDING IMPLIED WARRANTIES OF FITNESS AND MERCHANTABILITY FOR A PARTICULAR PURPOSE OR COMPLIANCE WITH ANY CODE. This is the exclusive written warranty of Kalia Inc.
My faucet hose does not retract properly or is not going as far as before. What can be the problem? Something can pinch the hose under the sink, make sure that the space for it is clear. Water flow is lower than before or non-existent. How to solve this problem? Make sure that the water valve is fully opened. Make sure no hoses are pinched or twisted. Clean and rinse the aerator (Fig. A). My kitchen faucet is leaking under the handle, what should I do? Try the solutions proposed by Kalia below. If the problem persists, the cartridge of your faucet is defective and must be replaced. For instructions on how to install a new kitchen faucet cartridge, please refer to the following question. Water is leaking from the ball joint of the hand spray hose, what should I do? First, check if the sprayhead is unscrewed, if it’s the case, tighten it. If the problem persists, try the solutions proposed by Kalia below. Unscrew and remove the hand spray. Tighten the ball joint of the hand spray hose using an Allen key ¼”. How can I change the cartridge in my faucet? Philips screwdriver (for the Elito collection). My kitchen faucet is leaking under the counter, what can I do? After many uses, the hand sprayer may be slightly unscrewed to the shower hose; it should be tightened. If it’s not the case, verify that the connection of the output hose is tight. If the problem persists try the solutions proposed by Kalia below. My kitchen faucet is not securely installed to the counter, how can I adjust it? The problem may simply come from the mounting screws located under the faucet that are not tight enough (fig. A). If your faucet is installed directly over a sink, it’s thickness may not offer enough stability to your faucet. Therefore, you need to compensate this lack by adding more thickness between the mounting screws and the bottom of the sink. Water does not stop running completely from the hand sprayer, what is the solution? 1. Aerator leaks or the jets coming from it are not uniform. Unscrew the aerator and check the rubber ring (Fig. A). Clean and rinse the aerator. 2. Water does not stop running completely. Remove the handle and cartridge and clean or replace the cartridge if damaged (Fig. A). How to clean and maintain my bathroom faucets? Kalia Inc. offers the following express limited warranties on its products. These warranties extend only to the original owner/ end-user for personal household use and are effective as of the date of purchase. Additional limitations may apply for commercial use. Kalia Inc. guarantees all aspects of its faucets to be free of defects in material and workmanship for normal residential use for as long as the original consumer-purchaser owns his or her home. If a defect is found during normal residential use, Kalia Inc. may, at its sole discretion, elect to repair, provide a replacement part or product, or make any another appropriate adjustment. What is the solution if the water flow of my faucet is low or non-existent? Before any operation, turn off the water and turn the faucet on to release the pressure if required. Make sure the water valve is fully opened. Unscrew the aerator using the provided tool and rinse the aerator (fig. A). What is the best way to clean and care for my shower base? Follow the recommendations below when cleaning and caring for your Kalia product in order to avoid damage and ensure optimal use. Damage resulting from inappropriate maintenance is not covered by the Kalia warranty. For tough stains, use a gentle liquid detergent such as dish soap with hot water. Do not use abrasive or acidic cleaning products. Carefully read labels on cleaning products to ensure they are appropriate for your Kalia product. Always test on a small area before applying the cleaning solution to the whole surface. Make sure to always rinse thoroughly with water immediately after using a cleaning product. Regular cleaning prevents accumulation of encrusted dirt and tough stains. What if my shower base becomes scratched or damaged? For more serious damage, such as cracks or chips, please contact Kalia’s after-sale service. What is the difference between acrylic, Cristalplant and Castylat? Acrylic is a material with many advantages. It is lightweight and naturally slip-resistant, which reduces the risk of accidents, and it is soft to the touch and retains heat well. Kalia’s acrylic shower bases are reinforced with fibreglass, ensuring strength and durability and they are easy to clean and maintain. Acrylic shower bases can be used for corner and alcove installations. Most come with matching drain cover and tiling flange. Acrylic is a great shower base choice that you will appreciate for many years. Kalia chose Cristalplant® as a material of choice for some of its shower bases. Developed in Italy, Cristalplant® has a unique velvety soft-touch finish reminiscent of natural stone. It is eco-compatible because it is 100% recyclable and highly resistant to UV rays. Cristalplant® shower bases are quick and easy to clean and their non-porous surface is a real treat for your feet! CastylatTM is a solid, homogeneous polyester and mineral blend compound. Shower bases made of CastylatTM have a glossy finish and a highly resistant coating that ensures durability and incomparable luster. This material is easy to maintain and will always maintain its pure whiteness. What warranty does Kalia have on its acrylic shower bases? Kalia Inc. offers the following express limited warranty on its acrylic shower base products. This warranty extends only to the original owner/end-user for personal household use and is effective as of the date of purchase. The warranty is not transferable to subsequent owners. Additional limitations may apply for commercial use. Kalia guarantees its acrylic bases to be free of all material and workmanship defects under normal residential use for a period of 10 years under normal conditions of use and maintenance. Kalia may, at its sole discretion, elect to repair, provide a replacement part or product, or make any another appropriate adjustment for a defect occurring during normal residential use. This warranty excludes any damage caused in whole or in part by problems due to incorrect installation, abusive use, improper use, negligence, accident, non-compliant maintenance, or application of inappropriate or abrasive cleaning products. Kalia is not responsible for labor, installation or other incidental or consequential expenses. Kalia is not responsible for any labor costs or any other costs related to product installation, repair or replacement as well as for any damage or any other incidental or consequential expenses. Under no circumstances shall the liability of Kalia Inc. exceed the purchase price for a product paid by the owner/end-user, contractor or builder. In addition to the previously mentioned conditions and limitations, the warranty period for products installed for commercial applications, or used in commercial ventures, covers a period of one (1) year from the initial date of purchase by the owner/end-user, contractor or builder from an authorized dealer. If the product is sold by Kalia Inc. as a display item, a one (1) year warranty applies. To make a claim under this warranty, you can contact Kalia through your dealer OR you can phone directly to 1-877-GO-KALIA (1-877-465-2542) OR email service@KaliaStyle.com or write to Kalia Inc., Customer Service, 1355 2nd St., Sainte-Marie QC G6E 1G9 Canada. Make sure you provide all pertinent information related to your claim including a full description of the problem, the product name, model number, color, finish, as well as the date and location where the product was purchased. Also include the product serial number or original receipt. For more information or to obtain the contact information of the service and repair center nearest you, call 1-877-GO-KALIA. EXCEPT AS SET FORTH HEREIN, KALIA INC. PROVIDES NO OTHER WARRANTIES, EXPRESS OR IMPLIED, INCLUDING IMPLIED WARRANTIES OF FITNESS AND MERCHANTABILITY FOR A PARTICULAR PURPOSE OR COMPLIANCE WITH ANY CODE. What warranty does Kalia offer on its Cristalplant and Castylat shower bases? Kalia Inc. offers the following express limited warranty on its Cristalplant and Castylat products. This warranty extends only to the original owner/end-user for personal household use and is effective as of the date of purchase. The warranty is not transferable to subsequent owners. Additional limitations may apply for commercial use. Kalia guarantees its Cristalplant® and CastylatTM products to be free of all material and workmanship defects under normal residential use for a period of 10 years under normal conditions of use and maintenance as long as the original consumer-purchaser remains in his or her home. Kalia may, at its sole discretion, elect to repair, provide a replacement part or product, or make any another appropriate adjustment for a defect occurring during normal residential use. This warranty excludes any damage caused in whole or in part by problems due to incorrect installation, abusive use, improper use, negligence, accident, non-compliant maintenance, or application of inappropriate or abrasive cleaning products. Kalia is not responsible for labor, installation or other incidental or consequential expenses. Kalia is not responsible for any labor costs or any other costs related to product installation, repair or replacement as well as for any damage or any other incidental or consequential expenses. Under no circumstances shall the liability of Kalia Inc. exceed the purchase price for a product paid by the owner/end-user, contractor or builder. Do I need to drill a hole in the floor to install my shower base? Yes, you will need to drill a hole in the bathroom floor in order to be able to install the drain of your shower base. Please refer to the installation guide provided with your shower base for the exact dimensions. Does the bottom of the base have to be solidified with mortar? Yes, the base bottom should be solidified to ensure the shower base sits properly and to prevent any trampoline effect or cracking sounds. Please consult your installation guide for details on the use of mortar. What should I do if water does not drain out properly from the base? First check under the drain cover to make sure nothing is obstructing the passage of water. Next, make sure the shower base is level, to facilitate the flow of water to the drain. Can I drill a hole in the base to install the shower door? Yes you can for some models. Make sure to remember to use silicone to seal the hole to prevent water infiltration. Please refer to your shower door installation guide for more details. What purpose do tiling flanges serve? 2) they prevent water from infiltrating into the walls. What is the best way to clean and care for my Kalia shower door? Rinse with clean water and dry with a soft cotton cloth or sponge. Never use abrasive objects such as a scouring sponge, pad or brush to clean product surfaces. For tough stains, use a gentle liquid detergent such as dish soap with hot water. Do not use abrasive or acidic cleaning products or oven cleaner. For very tough stains and marks on glass surface, Kalia recommends using the product Cerama Bryte. What warranty does Kalia offer on its shower doors? Kalia guarantees its shower doors to be free of all material and workmanship defects under normal residential use for a period of 10 years under normal conditions of use and maintenance for as long as the original consumer-purchaser owns his or her home. Kalia may, at its sole discretion, elect to repair, provide a replacement part or product, or make any another appropriate adjustment for a defect occurring during normal residential use. This warranty excludes any damage caused in whole or in part by problems due to incorrect installation, abusive use, improper use, negligence, accident, non-compliant maintenance, or application of inappropriate or abrasive cleaning products. Kalia is not responsible for labor, installation or other incidental or consequential expenses. Kalia is not responsible for any labor costs or any other costs related to product installation, repair or replacement as well as for any damage or any other incidental or consequential expenses. Under no circumstances shall the liability of Kalia Inc. exceed the purchase price for a product paid by the owner/end-user, contractor or builder. Duraclean is a highly durable water repellent treatment that protects the surface of your shower doors and ensures easy maintenance. How can I adjust my Klass shower door? To properly close the mobile panel on the fixed panel, start by loosening the 4 flathead screws with the hex key. Then, adjust the mobile panel by tightening or loosening the two screws located on it. This will allow you to move the mobile panel from left to right (Fig. A). Once you are happy with the adjustment, retighten the 4 flathead screws to relock the door into position. While keeping the panel parallel to the shower base, you can slightly move this one inside of the wall mount. Secure the 3 screws of the wall mount once the adjustment is done to lock the position of the panel (Fig. B). For more details, please refer to the installation guide provided with your shower door. What is the best way to clean and care for my Kalia Castylat lavatory? What is the best way to clean and care for my Kalia Cristalplant lavatory? Caring for a CRISTALPLANT® lavatory is fast and easy. Simply cleaning with soapy water or a gentle household detergent will remove most stains and dirt on the surface. We recommend using a scouring pad like the one shown in the attached photo with a gel detergent or abrasive cleaning product and then rinsing with clean water. This will allow you to retain the original opaque finish characteristic of CRISTALPLANT®. CRISTALPLANT® is generally stain resistant, but some substances such as ink, makeup and nail polish that come into prolonged contact with CRISTALPLANT®, as well as lit cigarettes, may leave stains and marks on its surface. We do not recommend the use of harsh chemicals such as acetone, trichloroethylene, acids or strong bases, however it is possible to eliminate marks by following the tips below. CRISTALPLANT® has the same thickness throughout. You can protect it from surface scratches, cigarette burns and stubborn stains and restore it to its original beauty by following these simple instructions: for light superficial damage, use an abrasive pad and a household abrasive cleaner to restore the surface; for deeper damage, sand and polish the area – If the damage is still visible after this, repeat using very fine grain sandpaper. For more information about CRISTALPLANT® go to www.cristalplant.it. What are the main differences between Castylat and Cristalplant? CastylatTM is a solid, homogeneous polyester and mineral blend compound. Lavatories made of CastylatTM have a glossy finish and a highly resistant coating that ensures durability and incomparable luster. This material is easy to maintain and will always maintain its pure whiteness. Kalia chose Cristalplant® as a material of choice for some of its lavatories. Developed in Italy, Cristalplant® has a unique velvety soft-touch finish reminiscent of natural stone. It is eco-compatible because it is 100% recyclable and highly resistant to UV rays. Cristalplant® shower bases are quick and easy to clean. How do I remove the drain cover? To remove the drain cover from your lavatory quickly and easily, simply press one side of it. What types of drain are compatible with Kalia drain covers? What warranty does Kalia offer on its Castylat lavatories? Kalia Inc. offers the following express limited warranty on its Castylat lavatory products. This warranty extends only to the original owner/end-user for personal household use and is effective as of the date of purchase. The warranty is not transferable to subsequent owners. Additional limitations may apply for commercial use. Kalia guarantees its Castylat lavatories to be free of all material and workmanship defects under normal residential use for a period of 10 years under normal conditions of use and maintenance. Kalia may, at its sole discretion, elect to repair, provide a replacement part or product, or make any another appropriate adjustment for a defect occurring during normal residential use. This warranty excludes any damage caused in whole or in part by problems due to incorrect installation, abusive use, improper use, negligence, accident, non-compliant maintenance, or application of inappropriate or abrasive cleaning products. Kalia is not responsible for labor, installation or other incidental or consequential expenses. Kalia is not responsible for any labor costs or any other costs related to product installation, repair or replacement as well as for any damage or any other incidental or consequential expenses. Under no circumstances shall the liability of Kalia Inc. exceed the purchase price for a product paid by the owner/end-user, contractor or builder. 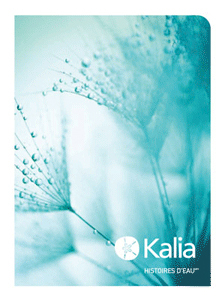 What warranty does Kalia offer on its Cristalplant lavatories? Kalia Inc. offers the following express limited warranty on its CRISTALPLANT® vessels. This warranty extends only to the original owner/end-user for personal household use and is effective as of the date of purchase. The warranty is not transferable to subsequent owners. Additional limitations may apply for commercial use. Kalia Inc. guarantees its CRISTALPLANT® vessels to be free of all material and workmanship defects under normal residential use for a period of 10 years for the original consumer-purchaser of his or her home. If a defect is found during normal residential use, Kalia Inc. may, at its sole discretion, elect to repair or provide a replacement part or product. Damage to a product caused by accident, misuse, or abuse is not covered under this warranty. Improper care and cleaning shall have the effect of rendering this warranty void. Kalia is not responsible for labor, installation or other incidental or consequential expenses. Under no circumstances shall the liability of Kalia Inc. exceed the purchase price for a product paid by the owner/ end-user, contractor or builder. What is the best way to clean and care for my Kalia bathtub? Caring for a CRISTALPLANT® tub is fast and easy. Simply cleaning with soapy water or a gentle household detergent will remove most stains and dirt on the surface. We recommend using a scouring pad like the one shown in the attached photo with a gel detergent or abrasive cleaning product and then rinsing with clean water. This will allow you to retain the original opaque finish characteristic of CRISTALPLANT®. CRISTALPLANT® is an innovative and technologically-advanced composite material that has a unique soft-touch finish similar to natural stone. CRISTALPLANT® is 100% recyclable, It is made of a high percentage of natural minerals and a small percentage of extremely pure polyester and acrylic polymers; as a result this inert and non-toxic material offers high resistance to UV rays and is practically fireproof (class 1). CRISTALPLANT® is 100% restorable:, It can be restored to its original beauty simply with detergent and an abrasive scouring pad or sponge – even stubborn cigarette burns can be removed. CRISTALPLANT® has the same thickness throughout and its durability and restorative qualities make it eco-compatible..
What warranty does Kalia offer on its CRISTALPLANT® bathtubs? Kalia Inc. offers the following express limited warranty on its CRISTALPLANT® bathtub products. This warranty extends only to the original owner/end-user for personal household use and is effective as of the date of purchase. The warranty is not transferable to subsequent owners. Additional limitations may apply for commercial use. Kalia guarantees its CRISTALPLANT® bathtubs to be free of all material and workmanship defects under normal residential use for a period of 10 years under normal conditions of use and maintenance. Kalia may, at its sole discretion, elect to repair, provide a replacement part or product, or make any another appropriate adjustment for a defect occurring during normal residential use. What is the best way to clean and care for my Kalia bathroom accessories? What warranty does Kalia offer on its bathroom accessories? Kalia Inc. offers the following express limited warranty on its bathroom accessory products. This warranty extends only to the original owner/end-user for personal household use and is effective as of the date of purchase. The warranty is not transferable to subsequent owners. Additional limitations may apply for commercial use. Kalia Inc. guarantees its bathroom accessories to be free of all material and workmanship defects under normal residential use for as long as the original consumer/purchaser owns his or her home. Kalia may, at its sole discretion, elect to repair or provide a replacement part or product for a defect occurring during normal residential use.